We are an independent Skoda garage in Milton Keynes that offer cut priced alternatives to main dealership maintenance services. We can offer a SKODA servicing and maintenance that meets the main dealerships requirements, simply cutting out the high figures associated with them. 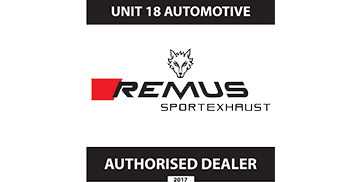 Our team here at Unit18 Automotive specialise in SKODA models. We can provide a SKODA service in Milton Keynes to meet the manufacturers and main dealership garages standards – we simply do not charge the same prices. Nothing is ever left to chance, a full service with Unit18 will be just as vigorous and detailed as one with a dealership, making us one of the best independent SKODA garages in Milton Keynes. We can also provide an annual SKODA MOT in Milton Keynes. Each vehicle, no matter which model will be thoroughly tested for its safety and general road worthiness. "Had a service and MOT on my Skoda Fabia after being recommended by my dad. Everything was done the same day and with no pathetic minor fails for a misplaced bulb. Any minor points where fixed straight away with no extra costs."